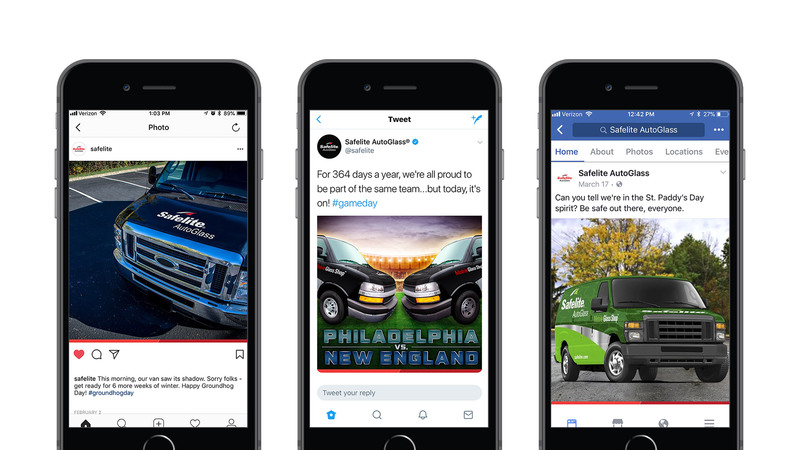 We’ve been Safelite AutoGlass’ agency of record for more than twenty years, and we do more than make TV and digital commercials featuring our catchy jingle. We’ve also been trusted with creating winning social content for this national brand. Utilizing video, cinemagraphs, photography, infographics, blogs and more, our social campaigns integrate with our larger broadcast and digital campaigns, while also taking advantage of the opportunity for humor, conversation, and visual engagement social provides.